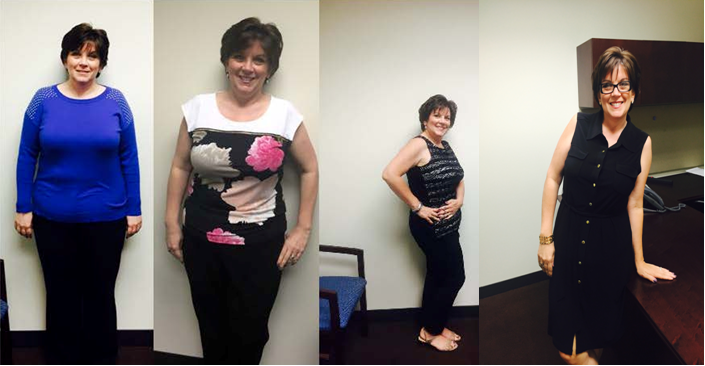 I first came to Tracey looking for guidance to help me in my struggle to lose weight and make life styles changes. What I received was so much more. I realized what I was embracing, was a JOURNEY into my new life. Not only did I lose weight, inches and changes in the way I think about food, I have a new found confidence that is with me every day and my self esteem has risen much more than I expected. You can see in the pictures I have shared the confidence in my face and body language. The motivation given to me from Tracey was (and is) a true blessing. I saw that the understanding I received from her was true and the concern to help me with my goals was Tracey’s motivation. It's a life style change that does work. The changes within me are not only to my benefit, but to those in my life who mean the most to me, my family & friends. Tracey is not just my “wellness coach” she is a mentor and has become a true friend that when I struggle, (and I do) I can pick up the phone and call her and she brings me right back to where I need to be! Thank you so much Tracey…you are my Angel! I am down 10 lbs on the (Clean Burn Shape 10-Day) cleanse so far - it's going well and most importantly I feel great.